Place this contemporary Lanart Rug Vintage area rug in your home for a piece that makes a statement. Designed to decorate an indoor space, this plush wool material rug is high quality. Modern style and construction is combined in this hand-made rug. Bring this vintage/distressed patterned grey rug into your living spaces for a contemporary design aesthetic. Bring this Artistic Weavers Palmilla area rug into your dining room for an easy splash of style. This indoor piece is made from plush wool material, which is high quality and high fashion. Comfort and quality come first in this hand-made rug. Bring this floral plants patterned grey rug into your living spaces for a contemporary design aesthetic. This Artistic Weavers Penticton area rug is sure to make a statement in any room of your modern home. Add this indoor rug to your home for a comfy, yet stylish design option since it is made from plush wool material. Its hand-made construction is sure to endure the constant treading of feet and furniture. This floral plants patterned grey rug makes a contemporary mark on your home's interior design. This Artistic Weavers Satipo area rug is sure to add to the modern dicor of any home. Make your hallway, dining room, or living room more stylish with this indoor plush wool rug. Its hand-made construction is sure to endure the constant treading of feet and furniture. Quality comes first in this floral plants patterned grey rug. 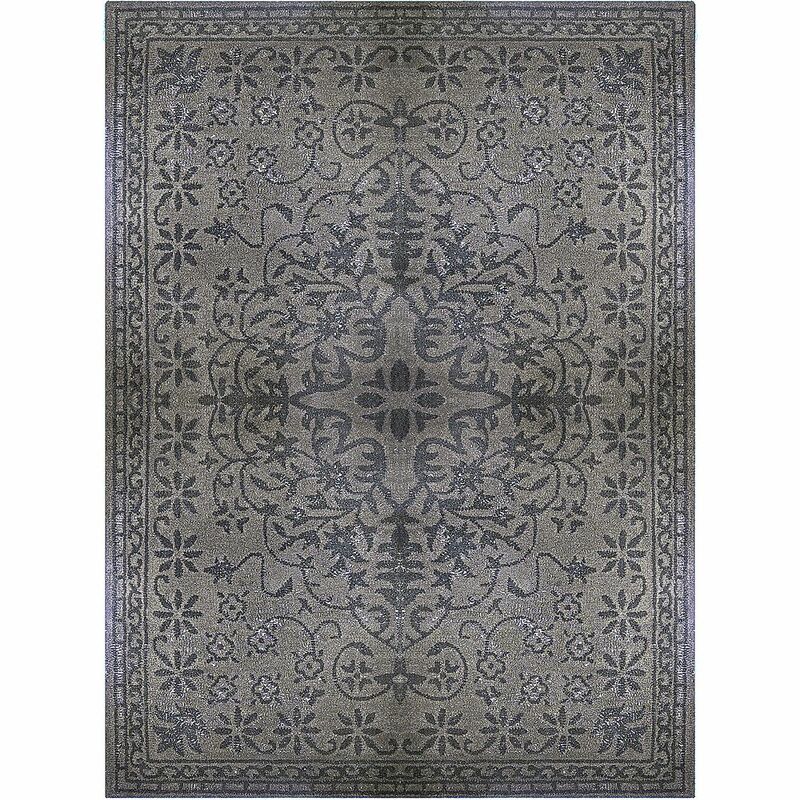 Vintage Grey 5 ft. x 8 ft. Indoor Transitional Rectangular Area Rug Place this contemporary Lanart Rug Vintage area rug in your home for a piece that makes a statement. Designed to decorate an indoor space, this plush wool material rug is high quality. Modern style and construction is combined in this hand-made rug. Bring this vintage/distressed patterned grey rug into your living spaces for a contemporary design aesthetic.